There are names that signify prominence in a specific field; as some people would immediately think of coca cola when someone mentions soda, or Doritos when someone mentions cheesy corn chips. The same goes for any company that is known for its reliance on every product that it sells. One popular retailer that follows this pattern in Shimamura Music. If you were to stumble upon a store while visiting Japan, you may not recognize the name of their store right away as their logo is not in English – but Shimamura music is like a supermarket for musical instruments and other audio ware. If you’re coming to Japan to shop high-quality music instruments (though brands aren’t as internationally well-known as Yamaha) or buy your own Fender, Shimamura Music is the right and affordable place. Time to grab your passport and head for Japan. The man who founded Shimamura Music goes by the name Mototsugu Shimamura. Fact: it initially wasn’t a retail outlet, but a school. He founded it as early as 1962. In the beginning, this school had only 48 students. Because these students wanted to get better outside the classroom, each student needed his or her own instrument to practice on while at home. This is when Mototsugu decided to start a store so that his students could purchase the equipment and take it home. Ever since then, Mototsugu’s business slowly expanded, as he built more stores throughout Tokyo (its initial address), and eventually, the rest of Japan. Today, Japan’s major shopping centers carry Shimamura Music outlets, and it has grown to become Japan’s biggest retailer of musical instruments to date. 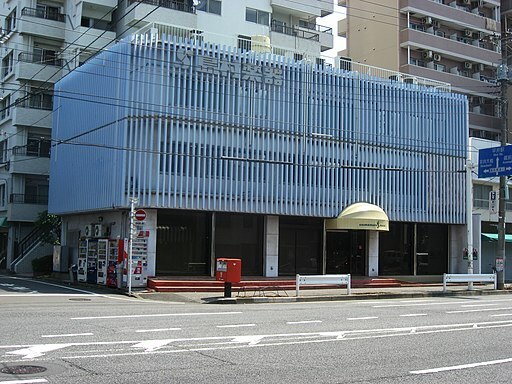 Today, the company has an annual sales rate of 288.8 million dollars, or 32.2 billion yen, with 160 locations spread across the country, and with a music school still going strong, (it comes in 3rd place next to Kawai and Yamaha). In September of 2015, Shimamura ventured out to Beijing to open their first store abroad. Shimamura Music shares its secret to its success; a cycle that is perpetuated through the ages of Retail, Lesson, Rehearsal Studio, Contests and Events, Direct purchase, Store Brand, which leads back to Retail. Shimamura starts out either from “Retail” or “Lesson”, often both. After the students finish their lessons and becomes confident in their abilities or skills, the students move on to perfect this even more in a rehearsal studio to produce more music. Eventually, if the student is successful, the person will be invited to hold events or join contests, which encourages or influences others to make direct purchases to Shimamura Music or buy stock from Shimamura Music for their events. Store brands thus become famous, which encourages new students to buy and learn music again, which completes the cycle. Instruments that are sold in Shimamura Music are assured of good quality; guitars, electric guitars, keyboards, pianos, even electronic drum sets, ukuleles, violins, saxophones, trumpets – you name it, Shimamura Music has likely got it. Offering maximum customer care, assistance, and accessibility, Shimamura Music is not just a store, it also has a rehearsal studio and a music school in every outlet to encourage people to play. Beginners and intermediate artists alike are welcome to play music in their studios – but note that out of their 160 locations, only 21 have music lessons, and only some accessories, and may not be as fully stocked with equipment as their other stores are. If you’re in Tokyo and you’re looking for Shimamura Music, there are a total of 26 different places that hold outlets of Shimamura Music. For those who want to pay tax-free, only two stores are available, and that’s Shinjuku Pepe, whose number is 03-3207-7770, as well as Shimamura Strings Akihabara, for which you can dial 03-5298-5490. Other stores include Akabane Apire, Aeon Kasai, Hachioji, Kichioji Parco, Futakotamagawa Rise ShoppingCenter, Lalaport Toyosu, Marui Kinshicho, MinamiSunamachi SUNAMO, Frente Minamiosawa, Akabane Apire, and Music Salon outlets in Ikebukuro, Kameido, Hirai, Shinkoiwa, Koiwa, Nishikasai, Potoria, Kasai, Higashiojima, Funabori, Mizue, and Shinozaki. In the Kinki region, there are many more stores that are tax-free than there are in Tokyo. There’s Umeda Loft, whose number is 06-6292-7905, Grand Front Osaka Classic (06-6359-2855), Rinku Premium Outlet (0724-58-4631), Kobe Sannomiya Vivre (078-327-3611), Aeon Mall Kobe Kita (078-983-3921), and Aeon Mall Kyoto Katsuragawa (075-924-6400). You may call these numbers for more information. Other than those stores, there are still other Shimamura Music outlets, found in areas such as Abeno Q'sMall, Aeon Mall Dainichi, Aeon Mall Rinku Sennan, Aeon Mall Himeji RiverCity, Aeon Mall Itamikoya, Kuzuha Mall, Lalaport EXPOCITY, Lalaport Izumi, Lalaport Kohshien, and lastly, Music Salon Abeno. Hokkaido has the least number of stores compared to other regions, but it still has more tax-free stores than Tokyo does. Out of its 6 outlets there, 3 are tax-free. These stores are located at Sapporo Stellar Place, (011-209-5230), Sapporo Classic (011-223-2263), and Sapporo Parco (011-214-2391). Other store locations are Aeon Mall Sapporo Hiraoka, Aeon Mall Kushiroshowa, and Feeeal Asahikawa. The Tokai region has a total of 15 store locations where Shimamura Music can be found, but only one of these is tax-free, and that’s Nagoya Parco, which you can contact at 052-264-8316. Other stores include the Aeron Mall branches at Nagoyachaya, Nagoyaminato, Odaka, nagakute, Okazaki, Hamamatsuichino, Suzuka, and Aeon Yokkaichiobira. There’s also Nagoya Guitar Store & Guitar Repair Studio, MALera Gifu, Aqua Walk Ogaki, Plehawalk Hamakita, Lalaport Iwata, and Shizuoka Parco. The Kyushu region is also chock-full of Tax-Free Shimamura Music Outlets. These are AmuPlaza Hakata, which you can reach at 092-413-5415, Fukuoka Ims (092-736-5610), Ekimachi 1 Chome Sasebo (0956-42-0220), Nagasaki Ekimae (095-816-0280), Nagasaki Hamanomachi (095‐816-3630), and Aeon Mall Kumamoto (096-235-6020). For non-tax Free Shimamura Music outlets in Kyushu, you have a selection of the Aeon Malls at Fukuoka, Chikushino, Nogata, Sagayamato, Uki, Miyazaki, and Miyakonojyou. There’s also Music Salon Fukuoka, Kokura RiverWalk, Kurume Youme Town, Soundproofing Showroom Hakata, Kumamoto Parco, parkplace Oita, Kagoshima AmuPlaza, and Music Salon Kagoshima. Chiba seems to have the most number of outlets, even compared to Tokyo, but only three of these are Tax-Free. They are Aeon Mall Makuharishintoshin, which you can contact at 043-350-4800, Narita Bonbelta (0476-28-0511), and Aeon Mall Narita (0476-23-8250). There are many music salon outlets in Chiba that hold Shimamura Music stores, particularly the ones in Urayasu, Minami Gyotoku, Gyotoku, IchikawaOhno, and Minoridai. The Aeon branches that you can visit to stop by Shimamura Music are Noa, Aeon Mall Chiba Newtown, Aeon Mall Yachiyo Midorigaoka, Aeon Shinurayasu, and Aeon Mall Funabashi. Other stores include Music Salon Tsudanuma, Tsudanuma Parco, Ichikawa Colton Plaza, Ichikawa Colton Plaza Piano Showroom, Sevenpark Ario Kashiwa, Lalaport Kashiwanoha, Piano Salon Yachiyo. Music Salon Yukarigaoka, Yukarigaoka, Vivit Minamifunabashi, Music Salon Inagekaigan, Music Salon Motoyawata, and Wind Store & Wind Repair Studio. To promote their students, Shimamura Music created their Hotline Music Contest. Around 3,500 amateur bands try to enter this contest yearly. Another, one, simply called the “Music Contest” which garners 1,000 classical music students who also compete to be the best and 700 performers battle it out in another contest called “Your Stage”, which is held at Suntory Hall in Tokyo. While those are among the larger contests held, there are smaller-scale competitions that go on in some Shimamura outlets that let locals in the area compete against each other, opening the contest to beginners and students. If you don’t have the time to go out to a brick and mortar Shimamura Music store to purchase your equipment, you have the choice of ordering online – although the website is primarily available in Japanese. Otherwise, if you understand Japanese (you can also get by if your browser has a translating option) their online store is extremely comprehensive and can be visited with a simple google search for Shimamura Music’s online store – their website URL should end with a “jp”. In their website, they have categories such as “recommended beginner instruments sets”, ranging to electric, classical, and acoustic guitars, amplifiers, effectors, drums/percussion sets/pieces, DJ and visual equipment, synthesizers, other electronic musical equipment, DTM/DAW, recording equipment, headphones, electronic pianos, wind instruments, string instruments, musical instruments for kids, accessories, used items, and major brands lists. They even have fun little gift items, such as a guitar spoon, shirts, bracelets with music notes, or a necktie pin with a musical note. Shimamura Music purchases their merchandise from a variety of different brand manufacturers that are usually based in Japan. The company makes it a point to join different international trading events and buy each item directly from carefully selected merchandisers, some of which are exclusively found in Japan. They sometimes even co-develop instruments to create models that cannot be found anywhere else, and they have done so with brands such as Yamaha, Roland, Kawai, Casio, Pearl, Ibanez, FGB, Takamine, K. Tairi, Kawakami, Sakurai Kohno, Audio-Technica, GEWA, Henri Delille, Kaminari Guitars, and Famous. Other brands that Shimamura Music distributes are Ramundo, Martin, Grosh Guitars, Bat Cat, The Capo Company, Skull Strings, NUX, K Kaces, On-Stage HENNESSEY Master Series, Mooer, Get’m Get’m, Behringer, On-Stage Stands, Shure, IK Multimedia Musicians First, GMS Drum CO. Trust, Wilh. Steinberg (WST), Lee Oaker, Dixon, Lefreque, Willner, Pramberger, and Drum Fire. While Shimamura Music does sell other well-known brands, they do have their own custom set of brands as well, with equipment developed by them and created by original equipment manufacturers. These brands are more affordable and have a uniqueness to them, thanks to that Shimamura Music touch. Such brands include History, Cool Z, Laid Back, Busker’s, James, Luber, Ka’Ala, Hanalei, Oto-Oto, Louis, Edgear, Festi Saxophones, Briller Trumpet, Jug, Emul, Weltone, and Frontere. Other than this large Japanese audio haven, there may be other reasons why the name Shimamura rings a bell. Other famous people with the name include Arthur Shimamura, a psychology professor from Helen Wills Neuroscience Institute at UC Berkeley, as he was able to discover many novelties in connection with the brain, art, and mind. There’s also Shimamura Hayao, a Japanese admiral who served during both the Sino-Japanese and Russo-Japanese wars, spearheading staff officers as he worked in the Imperial Japanese Navy. Then there’s Hoko Shimamura, a well-known photographer based in Japan during earlier times (born 1890, died 1944), Kaoru Shimamura, a Japanese voice actress who worked for 81 Produce, Shiyo Shimamura, also a famous photographer, who lived from 1903 and died in 1974. Toshihiro Shimamura, a professional player of “Go”, the abstract strategy board game, and Yoshinobu Shimamura, a Japanese politician.